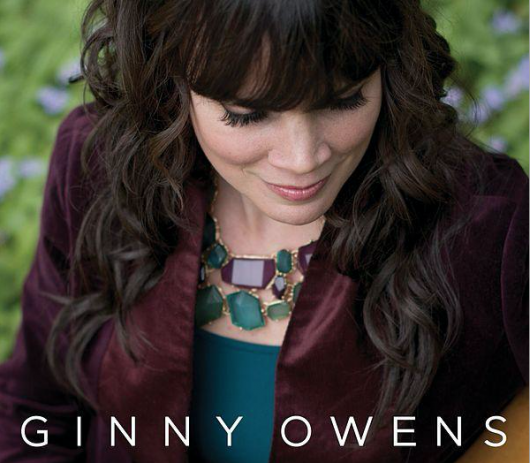 Good news for local friends: Ginny Owens will perform at Lake Bible Church, on September 24th, at 7 pm. Purchase tickets for an evening of song and story here. In the weeks before I’d completed my website redesign, when visions of story were swirling in my head, I was invited into the great joy of interviewing Ginny Owens, award-winning singer-songwriter of eight albums (including her latest, I Know A Secret). As question-asker, I held the privilege of drawing out and receiving her story. A few weeks ago, Ginny and I spoke on FaceTime from both sides of the country about everything from insecurity to songwriting to traveling on the road to the contents of her music playlist. Following is a portion of my interview with her in which we discuss community, creativity, vulnerability and courage. Q: I read about your time living in New York City and the ways you grew with God because of the intentional faith lived out there. I am curious about what you’ve carried with you as you’ve pursued community in Tennessee – a place with a very different cultural perspective on Christianity. A: My time in New York taught me how essential community is to life. That I literally can’t see Christ as clearly without community. There’s so much about who God is that I just won’t know unless I have friends showing me actively who God is. I learned that to have community you need to keep showing up. It’s not easy – we’re all crazy busy with our fast-paced lives and technology – but part of living and creating community is being patient and getting to know people and working through the awkward silences and the uncomfortable moments of learning to have conversation. Staying in that space and continuing to pursue people because God continues to pursue us. So I’ve just learned that, like with being creative, it’s something that I want to keep running after. And that takes time; it takes intentionality; it takes a bit of discipline. With me, on the road, it helps a lot to have community at home and to know that people are here waiting. It’s really a good thing. Q: Ginny, throughout your music, I see themes of submission, release and letting go, and, mixed with that, a call to strength, courage and walking forth in freedom. I’m wondering if you could speak to that in light of what you’ve talked about in your “How I See It” series — specifically, what your mom told you: learn your colors, so you can put together your clothes, and learn how to do your makeup…build these skills and move forward. Yet you’re also in a place of needing to ask for help. I’m wondering if this balance of independence and dependence comes naturally for you now. A: Noooooo. When you have an obvious disability, especially one that people are going to naturally feel sorry for or have compassion on, you want to educate them. So you feel like, especially the way I was raised, that part of educating them is always being strong. Doing everything independently as much as possible. But the problem with that is that it’s not reality. I mean I could do that, but then I might not have any friends — if I never engage them. Being vulnerable is necessary for living. It’s necessary for us to grow in our relationships, to grow in community and to grow in our trust of each other. Vulnerability is something that I have to be intentional about doing because it is not naturally what I want to do. I want to be strong all the time and ask the questions that are okay to ask, but not all of the questions. There’s always that balance, and yet courage means facing what we are afraid of and knowing that there’s something bigger than that fear. Whether that’s facing vulnerability and embracing it or, for me a lot of times, facing with a quiet and humble heart the fact that people are going to misunderstand me. They’re going to misinterpret who I am. They’re going to think, “Oh, bless her heart, she’s a poor blind girl.” Or whatever it is they’re going to think. I don’t even know, but I can’t worry about that. Courage means you move out in faith and you keep going. And so yes, I’m constantly fighting the battle of being independent and strong and also being vulnerable, learning the balance in that. Q: Me too, sister. It’s interesting that you brought up fears because that’s actually the next question I wanted to ask you. I was reading a post on your blog about facing fears, and so I wanted to ask what fears you are in the process of facing right now. A: I am always afraid of the unknown. So when we’re talking about next steps or releasing new music or writing the next book, I’m always afraid of “What if we release the wrong songs? What if people don’t like what goes on the next record. All of that is just a huge fear. And you’d think I’d just get over that, but it doesn’t go away. That’s a real fear right now because I’m working so hard on the new stuff. But there’s also just the fear of being accepted, being lovable. I think that’s a constant noise in my head. My work is in the public eye and entertainment – so there’s that side of it – and then there’s also the fact that I’m single and don’t have kids yet… So I wonder, am I lovable, and who can tell me if I’m lovable? Who do I ask? It’s a constant fear that I will disappoint and not be lovable or likable, so I have to keep remembering who defines me. That’s just a practice I have to keep going back to again and again. Q: I realize how much my fears are related to my creative process, and I already heard you allude to that. So I wanted to hear more about your creativity. Do you experience fear as you consider sitting down to write? I want to write more. I love the idea of writing, but it’s not something I’ve felt confident in. I’ve learned that it really is true that if you keep plodding through, then it will come more easily, and you will become more comfortable with the process. So it’s been a complete battle this year on all the creative fronts. To not be discouraged and to keep fighting through, but I’m really glad I have. It doesn’t feel like the battle is over, but it feels like I understand what work I have to do in getting to be creative everyday. “Getting to be creative everyday.” I love that. I’ll be back tomorrow with Part 2 of my interview with Ginny. 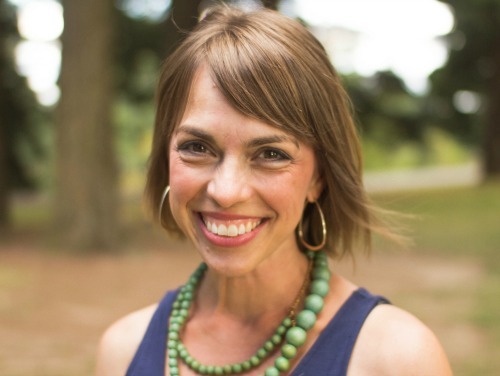 Locals: Remember to purchase tickets here for an evening of song and story with Ginny Owens at Lake Bible Church, on September 24th, at 7 pm.